If you're a Western Movie Buff... you've heard 'that sound.' It's the one that if it was thundering in your chest you'd either be in love... or having a heart attack. One is just as serious as the other. What am I talking about? 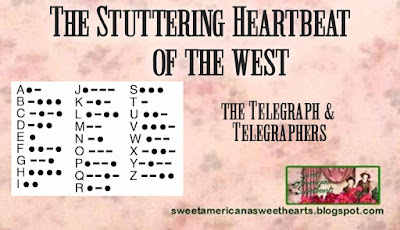 The stuttering heartbeat of the telegraph. 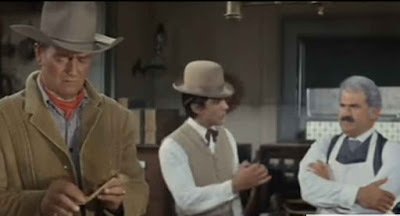 Davy: Yes, I know I'm an Indian, but I'm also the fastest runner in town. I've got a college education, and I'm the railroad telegrapher. But does anybody say, "Hello, college man," or, "Hello runner..." or "Hello, telegrapher?" No, not even, "Hello, knothead." Davy: It's always, "Let the Indian do it." 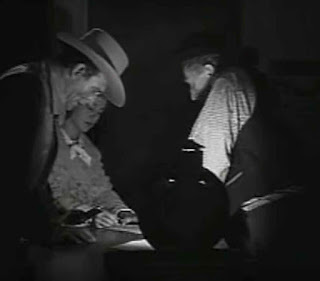 And in what's likely my favorite Western of all time "Angel and the Badman" with Gail Russell and John Wayne (not to be confused with the version made by Hallmark) after the heroine and her father discover the tall cowboy suffering from a gunshot they take him to the telegraph office (on his insistence) and he asks for a message to be sent before he'll agree to be treated for his wounds. The heroine writes out the message for him. 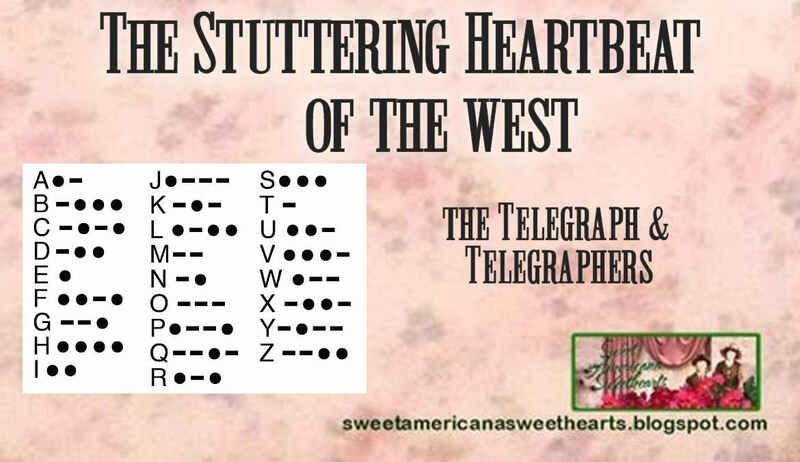 The telegrapher, hearing the name of the famed gunfighter, hurries to send the message claiming a plot of land Quirt Evans. While the telegrapher taps furiously on the instrument, the exhausted gunfighter sits down nearby and collapses on her shoulder... sigh. 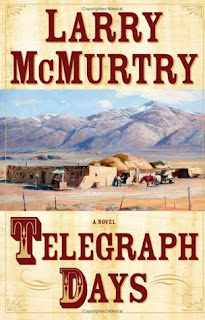 Back in 2010, Larry McMurtry released a book that I snapped off of the shelf. A Western with a Woman as the Main Character? Sold! 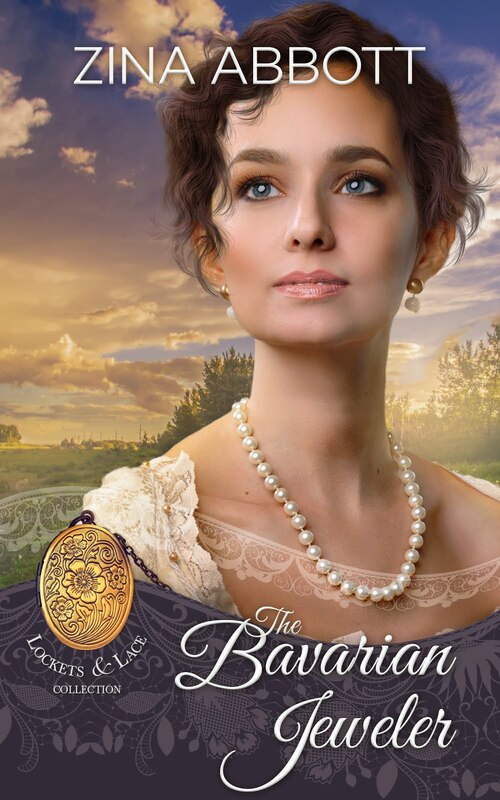 Telegraph Days is about 22 year old Nellie Courtright who becomes the town Telegrapher to help support her younger brother after her father takes his own life. The story involves all sorts of well known characters of the old west (the Earps, Doc Holliday, Billy the Kid). Definitely not a Romance per se, but a great take on an iconic character of the Old West, the telegrapher. Think of all the messages sent back and forth across those lines... how many lives were changed? Especially those of the Pony Express riders whose whole lives were changed once the lines crossed the continent. What message would you have sent across the wires? I have an upcoming story called Home Signal centered around a Train Depot and yes... the Telegraph. ... . . / -.-- --- ..- / ... --- --- -. Yes, I know I'm an Indian. But I'm also the fastest runner in town. and I'm the railroad telegrapher. No, not even, Hello, knothead. It's always, Let the Indian do it. Always, Let the Indian do it. Loved this peek into the telegraph!